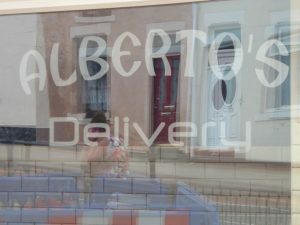 Albertos’s serve a wide range of pizza, garlic bread, salads, burgers and kebabs. You can have an 8″, 10″, 12″ or 14″ pizza of your choice from the menu or you can make your own up with a large choice of fillings. At Alberto’s all pizzas are made to order and fresh home made dough is used daily. They only use real mozzarella and cheddar cheese and add oregano to produce what they feel are delicious pizza’s. There is a kids menu and a choice of side orders. You can pick your order up or there is free delivery on orders over £8 to Coxhoe, Bowburn, Thursdale, Quarrington Hill, Old Quarrington, Cassop, Old Cassop and West Cornforth. Alberto’s is open seven days a week between 4pm and 11pm (including Bank Holidays).